Every now and then, I find myself simply bored with a space. I know you probably understand…. we all feel that way sometimes. So when I need to give a room a little pick me up, I usually create some sort of new artwork. And DIY signs are my very favorite way to go. With just a little wood and paint, you can create something that can change the way a wall looks with very little money (or none at all if you use scraps) and very little time. Need a dose of DIY signs? These ideas are beautiful and won’t break the bank! 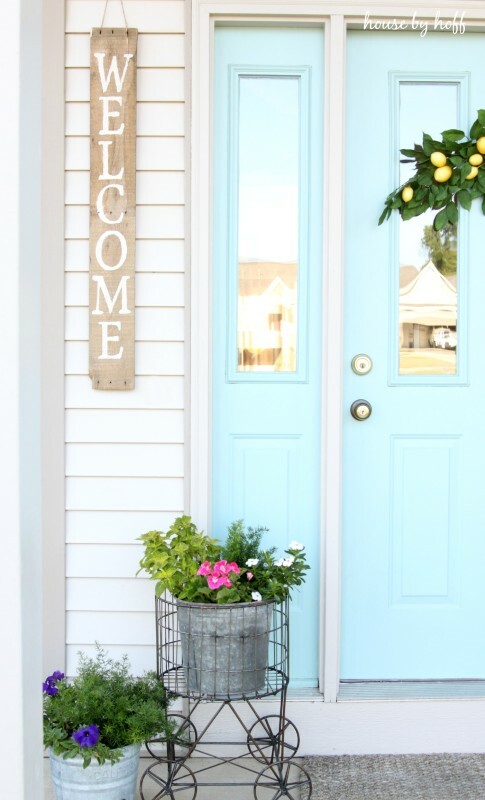 Need a little curb appeal? April at House by Hoff made this welcome sign, made from pallet wood. She made it exactly what she wanted by creating her own stencil. 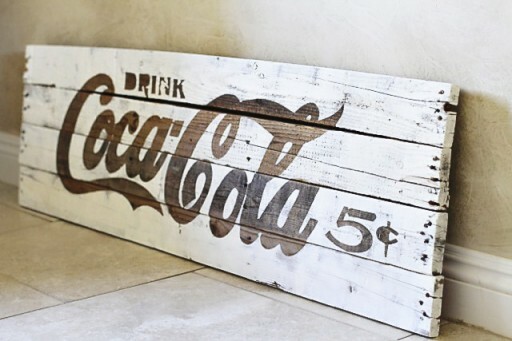 Add a little advertising love into your home with another pallet sign from Lil Blue Boo. She did a reverse stencil DIY signs technique that reveals the beauty of the wood. Need help on actually building the sign? 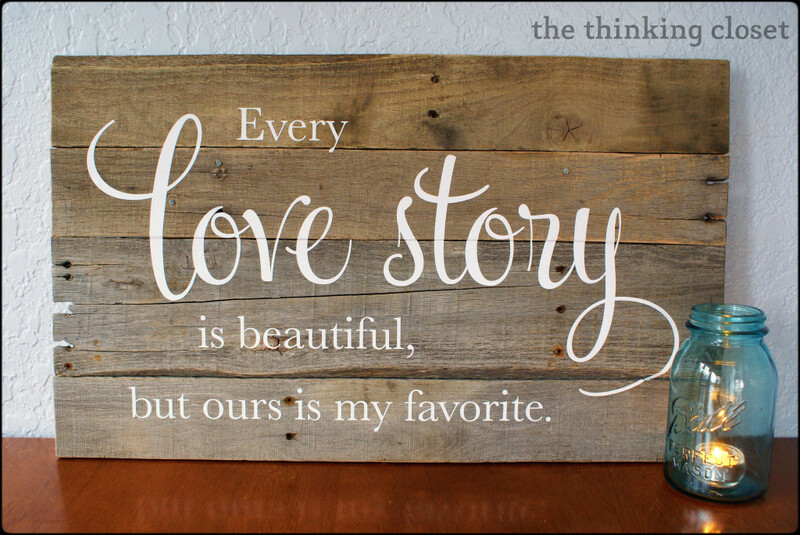 Lolly Jane has a ton of great DIY signs – but this one just tugs at my aqua loving heart. And bonus, it shows that imperfections are just part of the beauty of a great sign. Even if you’re a little scared to tackle real pallets, don’t fret. Mark & Lauren at Thinking Closet shares every step, from picking the pallet, to taking it apart, to painting. It’s a great idea – followed by a great farmhouse style pallet sign. Is there anything more farmhouse style than a mason jar? 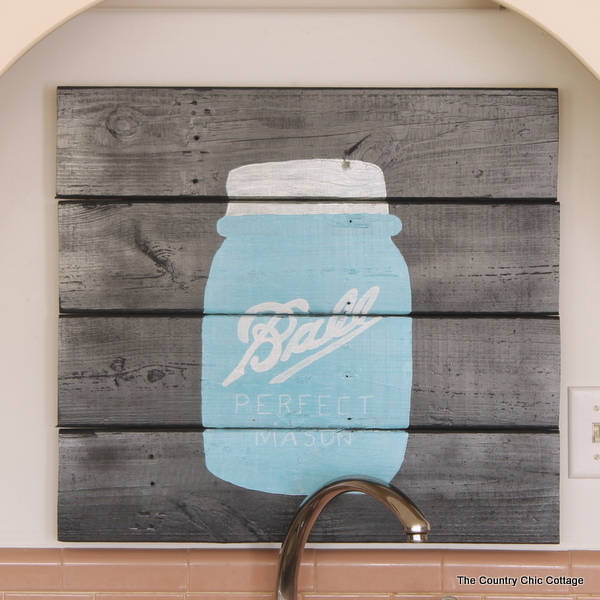 My friend Angie at The Country Chic Cottage created this beautiful hand painted mason jar sign – and that wood is PAINTED to get that look! 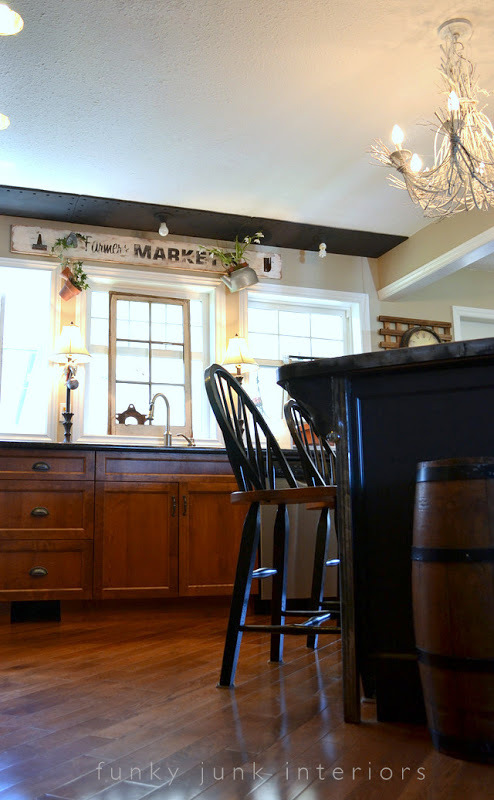 Want another way to fake the look of barn wood? I have my own trick that you can find in my Sweet Tea Served Here sign tutorial. Love that super aged look? Then my girl Donna at Funky Junk Interiors has you covered. 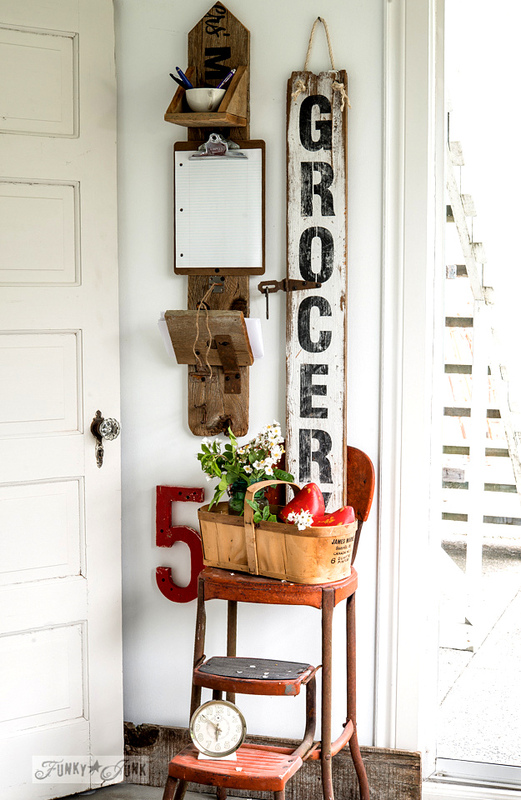 Her DIY signs are to die for – and this grocery sign is simply perfect. Here’s another example of Donna’s genius. 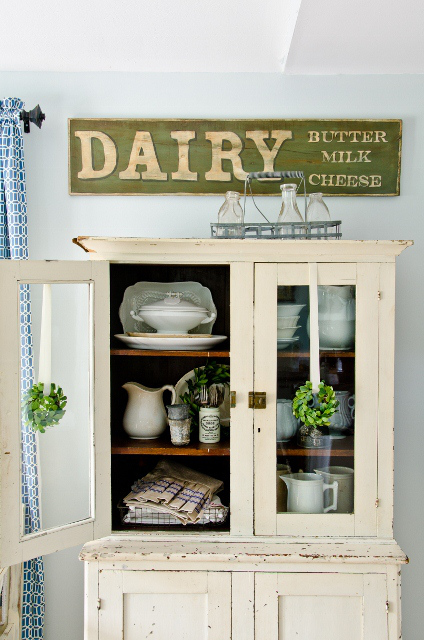 Her farmer’s market sign is one of those that screams FARMHOUSE! Did you know that she sells stencils in her online shop so you can make your own DIY signs? It’s a great way to make those signs even faster! Want to make a sign but you aren’t so great at building? Then using a door to make a sign is a great solution. I can show you how with my easy tutorial for aging DIY signs. Once you have simple signs mastered, why not try to go one step further. 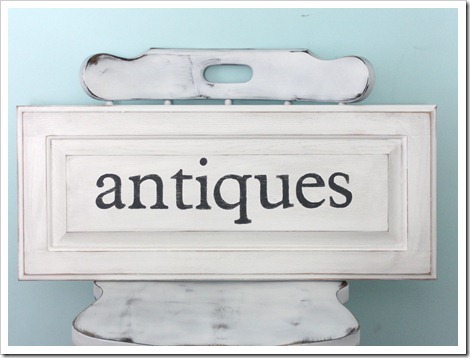 Miss Mustard Seed has a great tutorial for giving DIY signs more detail and an antique look. DIY signs aren’t just made of wood. 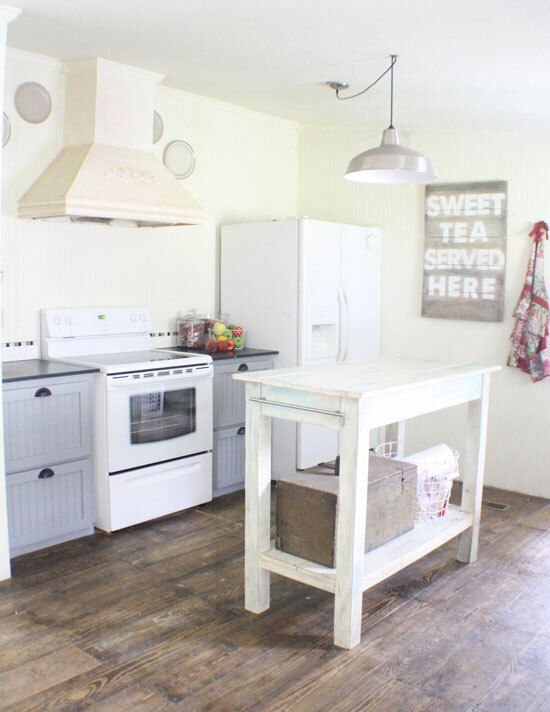 My metal kitchen sign is easy to make – and you won’t even need sand paper! And last, but certainly not least…. don’t worry if you’re not a painter at all. 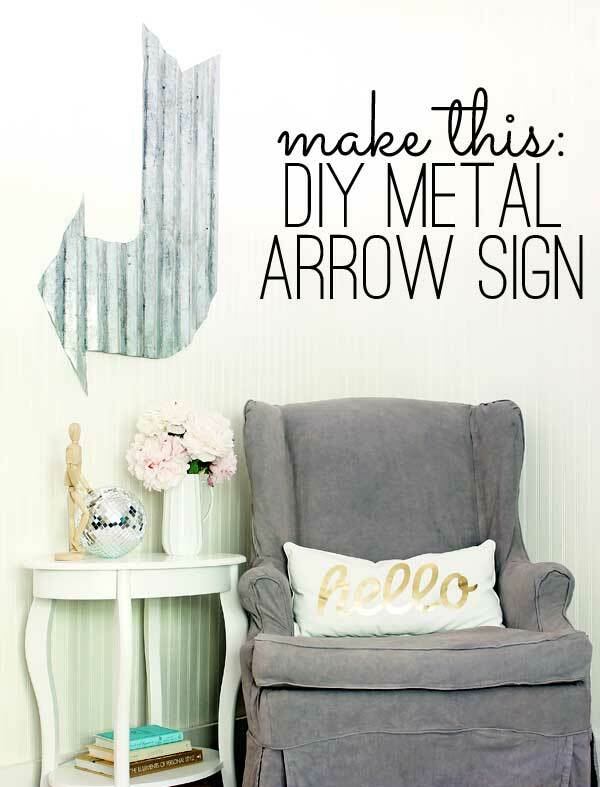 DIY signs aren’t just about words – you can make this easy metal arrow sign – and age it, too! 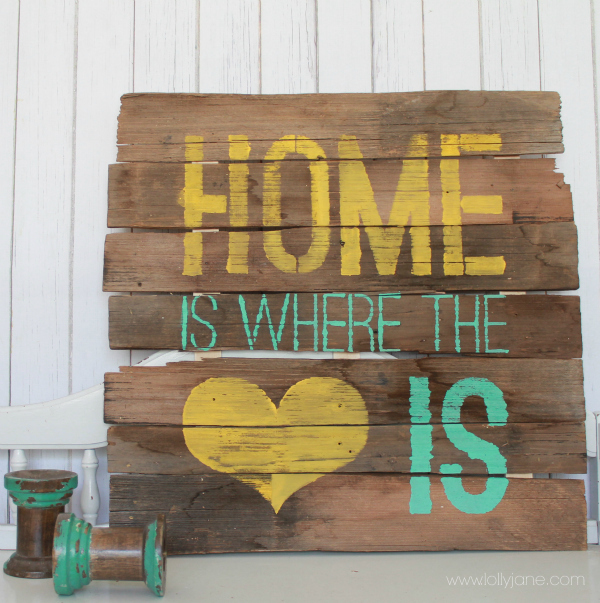 favorite farmhouse style DIY signs! Which one do you love? And which one are you going to make? Gina, You CLAIM that’s your kitchen, but I don’t see a bit of aqua in that photo! Just sayin’ 😉 Have a great day! Thank you so much for sharing, I love all the signs and will look to making one. Love your blog. Hi Frances, it was actually from Amazon, we just love it! Here is the post I wrote about the one we bought and several other options 🙂 https://www.theshabbycreekcottage.com/farmhouse-rugs.html Good luck!